Hi, when i leave my computer on for more then an two hours or so (doesnt matter if its in sleep mode, or if im playing a game like DOTA) and then boot PCSX2 it runs at 87.5% speed, with it reading 60FPS. If i go to Framelimiter and set Base Framerate Adjust to 112% I get about 67FPS and it runs perfect. Im worried running it when it doesnt want to run at normal speed could damage my computer somehow. I can easily handle 150fps+ on some of the games I'm having an issue with. So my real issue is most likely my Windows 7 computer. What could be causing the issue? Restarting computer fixes it, but i would like to know whats actually causing it. TL;DR What on a windows 7 PC make PCSX2 get EXACTLY 87.5% of the speed it should be at for the Framerate it is set for? Specs are always helpful. You might have an issue with heat. Or maybe your RAM is tiny. Depending on your system one can check several things. How do you know that it is around 87.5% speed? Do you check fps with an external program? If you reboot, how long can you play without reduction of real fps? Do you play from iso or directly from dvd? 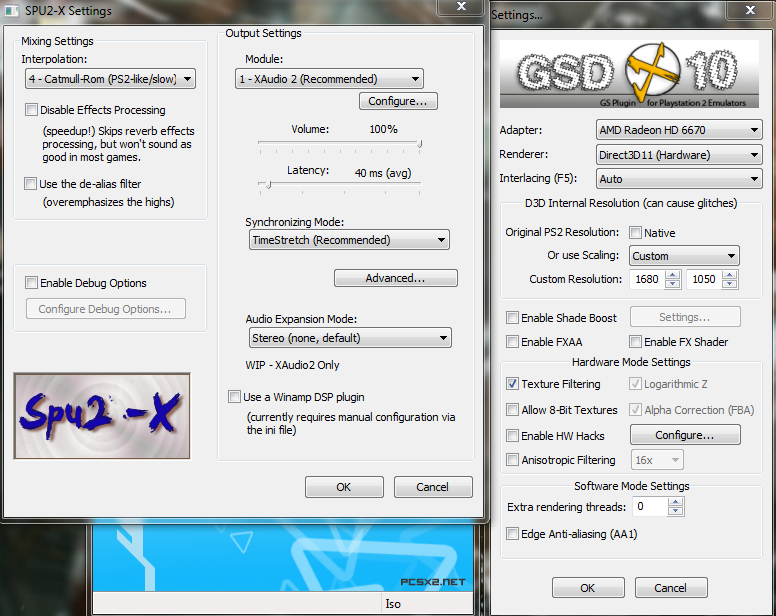 Can you maybe make screenshots of your configuration (emulation settings + gsdx plugin settings + SPU2-X plugin settings)? It's just too confusing, what do you mean by normal FPS? I suppose is meant you changed it at the "base framerate adjust", what shouldn't do at all. Understand that's not a PC game, the "normal" FPS as seen by PCSX2 is always 60 for NTSC games and 50 for PAL games. Another possibility being that 87.5% to be the EE or GS usage... well, let's not suppose, better waiting clarification from the OP. Anyway, the specs are ALL important, please tell us what is your rig. Any other PC spec that i would need? Here is a picture of my Framelimiting, when it is set to "Slow Motion Adjust" it will be running at fullspeed but be reading 67 fps. . my EE is a bit high in the screenshot, but that's not an issue, when i lower resolution to Native that becomes under 30. 87.5% speed because 112-113 Framerate ajust seem to be perfect speed(used games that keep track of in game time by the second and compared it to a timer and the difference is unnoticeable. When i seem to be playing PCSX2 non-stop i never get the slowdown. its when my pc has been doing something else for an hour or two before i boot PCSX2 that its slow-motion. I use ISO's. But i do own a legal copy of each game, and a PS2. Here is my config http://i.imgur.com/euJKyIl.png . I will be active and reply to any questions. If you haven't already overclock that AMD to about 4.0-4.4Ghz and it should help with other games. The performance of that FX is weaker then the older Phenon IIs that it replaced. (08-01-2014, 07:34 PM)Topken Wrote: If you haven't already overclock that AMD to about 4.0-4.4Ghz and it should help with other games. The performance of that FX is weaker then the older Phenon IIs that it replaced. But this in no way effects my PCSX2 issues, right? Nothing is overclocked. 90% of my gaming is about nostalgia. 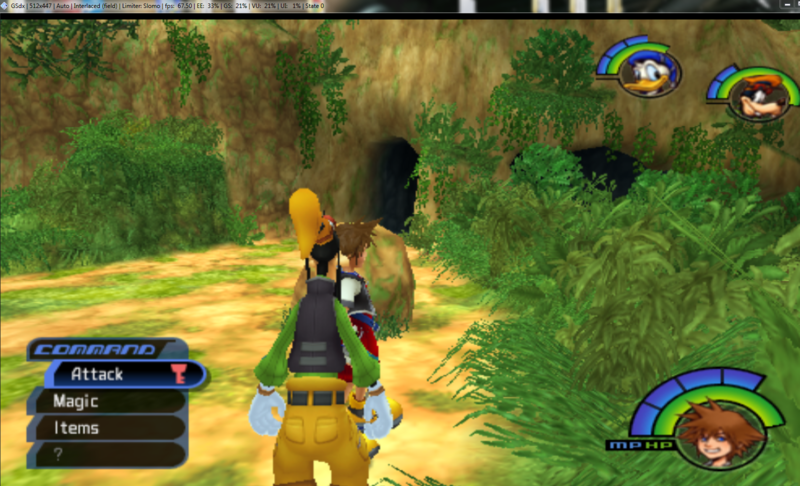 I'm rarely playing something new enough that it doesnt run max graphics (besides emulators). The heavier games will have speed issues at stock on that CPU. Kingdom Hearts 1 is a lighter game compared to something like Kingdom Hearts 2 and Final Fantasy 12 and X-2. Let along heaiver games then those. (08-01-2014, 08:47 PM)Topken Wrote: The heavier games will have speed issues at stock on that CPU. Kingdom Hearts 1 is a lighter game compared to something like Kingdom Hearts 2 and Final Fantasy 12 and X-2. Let along heaiver games then those. That was true with faildozer, but the op's cpu is piledriver. I do agree that OC'ing the cpu is a good idea though.